« Christmas in July: What About Advent? Today we hear from Meghan Howard. She’s the associate pastor and digital communications director of Fairborn United Methodist Church in Ohio. Meghan also writes for ChurchMag. Two of the things I love the most I get to do—preach and talk about social media. 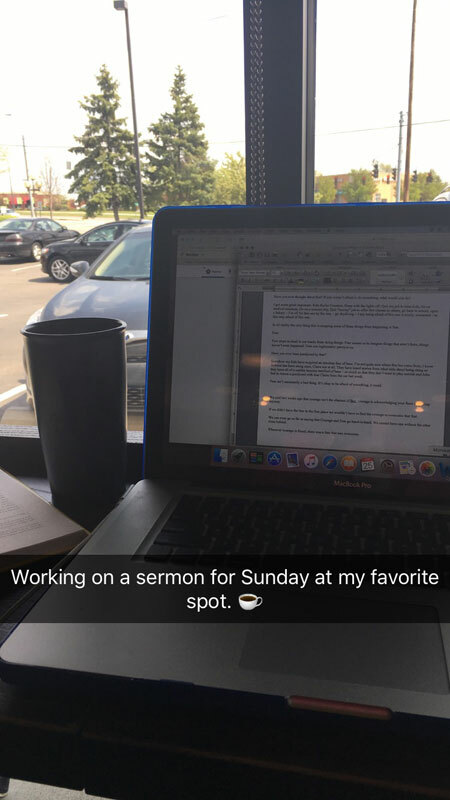 I am one of the pastors on staff at Fairborn UMC and although my primary responsibilities are leading the worship band and overseeing all of our digital and social media communications, I do get the opportunity to preach about once a month. On my plate this week is getting the message ready and finalized. The awesomeness of this is my worlds are slightly colliding this week because we are in the midst of a series on faith and culture and I am preaching on how the church can leverage social media for the kingdom of God. Two of the things I love the most I get to do—preach and talk about social media. In the midst of all the sermon preparation I do, I still have other tasks to complete. I will be creating and scheduling content for the weekend. Also, I am a staff writer for ChurchMag and have an article to write for them about church communications Facebook Groups to check out. Quite a bit of my week online is spent “listening” to what the people in my community are saying and dealing with. I often ask questions through the week on our various social media channels and I spend the time engaging with the people as they respond. Along with the church tasks, I also manage four other local organizations social media channels. I spend time during the week also creating content and engaging with their followers and customers. Finally, on my plate this week and every week is spending time with my family. They definitely keep me going and grounded. Time. I overcome needing more time by looking at my priorities and then ordering my tasks that need completed. Knowing what I need to be working on when I need to be working on it helps keep me focused. I often do some of my best work at the coffee shop. It’s quite and has endless cups of coffee, which is always quite helpful. Click to see a larger version of Meghan’s work space.